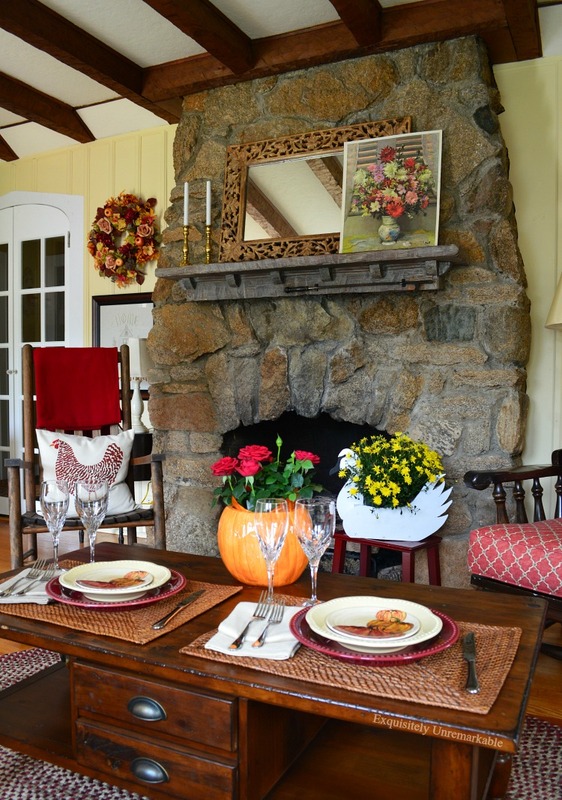 Cottage style decor and design are classics. Check out my top 5 reasons to love them. Growing up, I lived in high ranch. My parents had moved out the suburbs and bought a brand new house in a brand new development. It was situated on a third of an acre, had a built in pool, a fabulous basement with a brick fireplace and a two car garage. It was home. I loved it and was sure that when I grew up, I would live in the same kind of house. I mean, seriously, what more could anyone want? Well, turns out, a lot. You see that house, was a builder special. In the sixties. While the rooms were large and open, it had absolutely no charm. My mom had always decorated it perfectly for the times, but the house itself lacked an identity. Since mom had filled it with so much love, and awesome food, I never really noticed. However, when it came time to buy my own home, I realized that the one I was leaving was nothing more than a boring box. Turns out, at twenty six I couldn't really afford more, so it would be fair to attribute my love of cottage style to empty pockets. We ended up at the beach. The houses were much smaller there ~ true cottages ~1920's summer cottages to be exact. Over the years, people had renovated them to make them livable year round. We fell in love immediately. Yes, there was the beach, but truly, I'd lived near the beach all my life, that was nothing new. It was all about those tiny houses. There were arched doorways, heavy wooden moulding, locks that opened with skeleton keys, built-ins, window seats, charming little rooms that hugged you tight and a feeling of warmth and home that we just didn't get from the larger floor plans. Something about the style of those bungalows felt right, decked out in their cottage decor, so right, as a matter of fact, that when the time to trade up from our first tiny two bedroom came along, we moved directly across the street. Yes, yes, I know, it's small. The rooms can be a challenge to decorate and furnish. The master bathroom will never have two sinks or a tub. There is no place for dining room, a guest room or bridal staircase and when I sneeze in my kitchen, my neighbors say, "Bless you!" from theirs. Over the years, I have heard it all, I am intimately acquainted with the reasons people do not like cottage style decor and design. Adjectives such as too small, restrictive, outdated, old-fashioned and, oh yeah, did I say small, are frequently mentioned. That's ok, to each his own. And I'm not one to argue. I just listen and smile. And write about it instead. No fancy explanation needed here, when it comes to cottage living less square footage just costs less ~ less to purchase initially, less space to furnish, less area to heat and cool. Less all the way around. As far as cottage style decor goes, the look is usually a collected one, pieces gathered over time, mixed not matched, which may include thrift store finds or the like. Pieces like that don't break the bank. Of course, if you do prefer high end pieces, well we're back to my initial point, you'll need a whole lot less of them in a cottage. Not all decor styles work in all locales. Well, I mean technically there are no design rules and I am certainly not one to follow anyone who says there are. However. A beach themed home in the snow prone mountains? Not really a great fit, but cottage style, well that works anywhere. Think beach cottage, lake cottage, mountain cottage, desert cottage and my very favorite, vacation cottage. Cottage style is really very hard to define. Trust me, I have tried. If you don't believe me, Google it. Of course, that's not necessarily a bad thing. That just means it can be whatever you like. 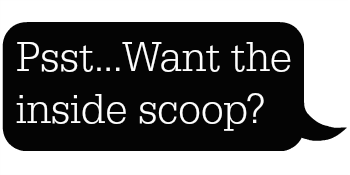 Oh sure, there are certain uniform elements like a comfortable, cozy vibe, a collected look and obviously the size of the home, but other than that, your choices are wide open. Farmhouse cottage style, French Country cottage design, English cottage decor, rustic cottage charm...or a combination of many. Just because space may be limited, doesn't mean the decor choices have to be. 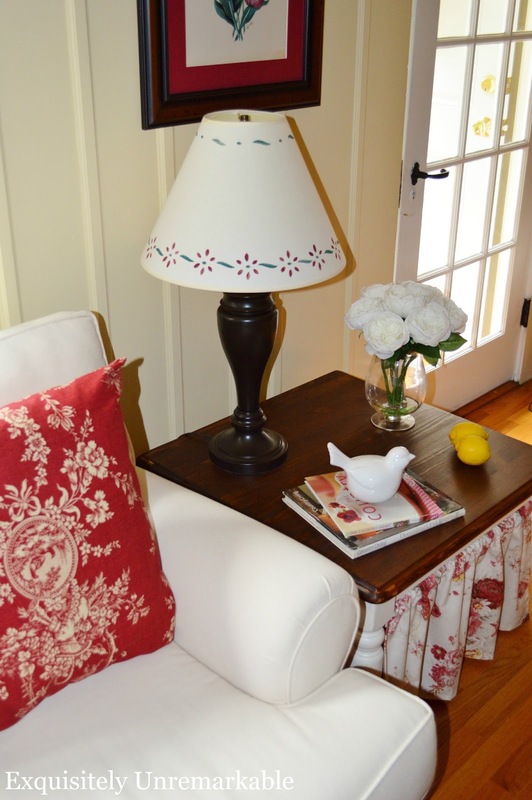 One of the true hallmark's of cottage style is the use of fabric. 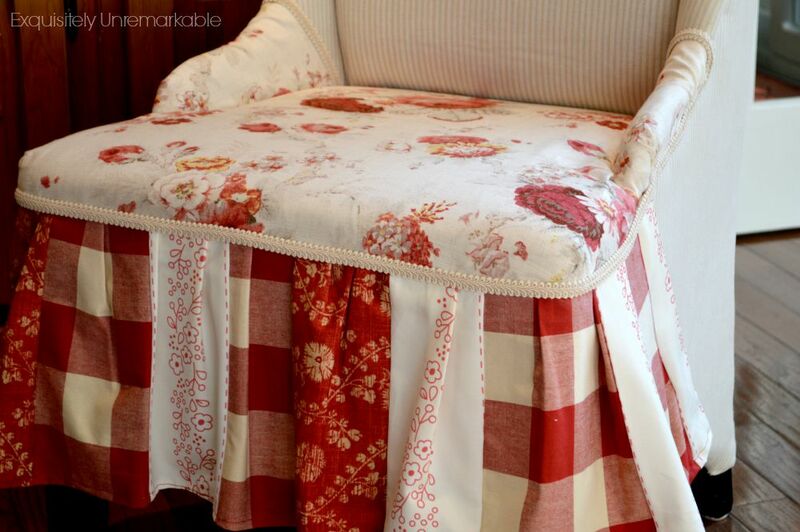 Whether you choose to feather your cottage nest in neutrals or bold colors, fabric accents are a must. They create a cozy, lived in look and add a bit of personality to the room. Pillows, window coverings, upholstered pieces, shower curtains, and woven floorcloths each play a part in defining the feel of a room. Mix and match ~ or just mix ~ to add a healthy dose of cottage style flair. My home was built in the 1920's and much of it looks exactly the same as did back then. The woodwork is original, so are the doors, hardwood floors, the fireplace and its custom mantle, all completely untouched. The beams on the living room ceiling, glass French doors and our covered porch are features in high demand today. They are classics and will remain so, long after bonus rooms and open floor plans have come and gone. 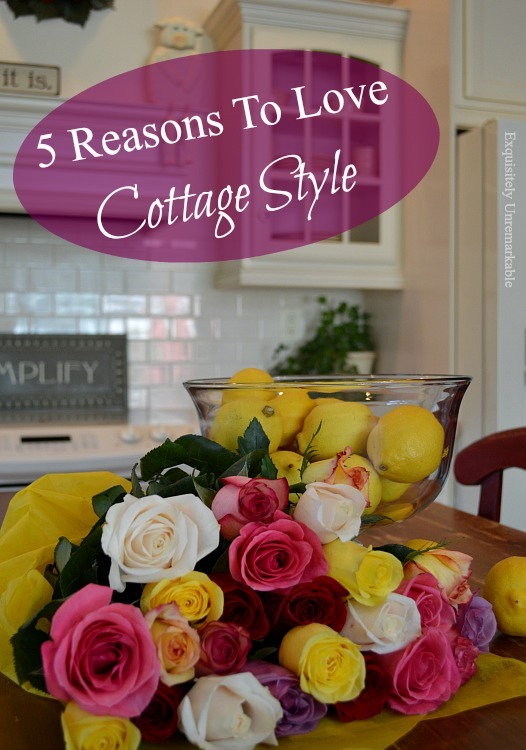 And there you have it, my five top reasons to love cottage style. Oh come on, you know I have more. Are you a cottage style fan? 5 perfect reasons and I love every one of them! I just need to find a cottage to live in and all will be well in my world!! Love, love, love your decorating "technique" and will continue to hunt for my cottage-style home...wish me luck! Thanks so much, Karolyn! I I hope you find your perfect cottage style home! Good luck!! I can so see why you love your cottage at the beach. We are in the process of down sizing and I'd love to end up with something similar. Thanks for sharing. I love this post and have tons of ideas, but I have a question. We have wonky walls, so would it be way too much to do a room in all beadboard? Those walls need h-e-l-p! Thanks!! I think that it would look great, Betty!! We have wood paneling floor to ceiling in our living room and family room...and shiplap is all the rage. I say if you like it, it's great! Love, love cottage style. It is my next dream home :-) although I am trying to make my old Victorian into one now! Old Victorian cottage style! I love it...and from what I've seen that's exactly what you have. Fabulous! that's a beautiful little cottage. and it's story that is now part of yours is beautiful. I like small. I always have. I had larger before widowhood. but I like to think Bob would like this cozy little apt too! I live in 550 square feet. 25 more feet than my last apartment! so I've moved up in the world. only in America it seems that people feel they have to have 'walk in' closets for their hundreds of shoes... or a spa bath or a master bedroom en suite with a sofa or reading table! the rest of the world is living quite well on what some of us would consider unbearable. Our first home was 900 square feet, Tammy. We lived there for seven years with two little ones and a kitty. Never felt squished even one day, but people constantly said, "Oh you must be ready to move on up. You're outgrowing this place." Nope, not me. I like "quaint"!! I love your sweet little house! I also love my sweet little house & am always trying to make it better. Right there with you, Jenny...I'm always tweaking and fluffing! And thank you! It's all very beautiful and I love your roses! Thanks Ronda! They’ve been bargain priced lately and I am loving them! Great post. I live in a small house too. Story and a half. Three bedrooms, one bath,six rooms total. I wouldn't have it any other way but it does have its challenges. I love the cottage style and I adore your home. We awant our next house to be smaller than what we have now and finding it hard to find one. We have 2 1/2 more years til Hubby retires, but we are already looking for what is on the market now. We would love to find a smaller cottage to live the rest of our lives in. Easier said than done. Houses are being built bigger and bigger these days. True cottages are harder to find and honestly, they're not necessarily cheap. Hopefully, you'll be able to find something that suits you both. You still have time! Do you know what you left off the list? Cottage style just makes you feel good! It feels like home just looking at cottages. Our house is not the size of a cottage but I definitely love incorporating a few of the details you mentioned. You cottage is wonderful! Exactly, Stacey! I felt like my house just hugged me when I walked into it. Best part! I'm a fan. It's cozy and not trendy and full of COLOR! Yes, I am a fan of cottage style! As well as small homes. I absolutely love your home. If I had my pick between all the blogger homes I've seen and yours, I'd pick yours. It has a warmth that can't be easily replicated by "new designer trendy stuff." And the fact that it is close to the beach would put me over the moon. See, Kim? I'm far from the only one who would choose your style over the many beautiful but overdone trendy stuff! You're my favorite design blogger, hands down! Thanks Cecilia! I love to see people's unique take on cottage stye, but you can spot that innate charm a mile away. Thank you, Lisa! You are too sweet. I have to say, I do enjoy less cleaning! Our home, a rancher that I've made into a cottage, is 1400 sq ft. We love it. Its perfect - not too big, but big enough to have raised 6 kids in shared bedrooms etc. Cottage is my style! English cottage is what I am working towards! I love your cottage, and I think you're smart to keep all the original things that people are longing for now! Thanks Deanna! I know a lot of people rip out the old stuff, but my neighborhood has a lot of it left. People really respect the sweet interiors (and exteriors). Every house is really very unique. Yes to your cottage style! It's real and honest and beautiful! Thank you, Janey! High compliments coming from you! I love cottage style! I had no idea that's what kind of house you lived in! I would love to live in a cottage style house. We live in an aluminum siding clad ranch house - rather boring. Not much I can do to the outside (well, except for landscaping), so I focus on the interior. Thank you for the photo of the fireplace, my favorite. Your kitchen is my next favorite. We also live in a home with character, a 100 year old house, with lots and lots of arches, real wood floors and oak trim. And just a few outlets. LOL ... we have changed that in almost every room. There's nothing like an old house, Carla! I just know you have 100 years of charm in that home of yours....and I totally hear you about the outlets!! Kim, you have it decorated so pretty, I would love to see your little cottage! 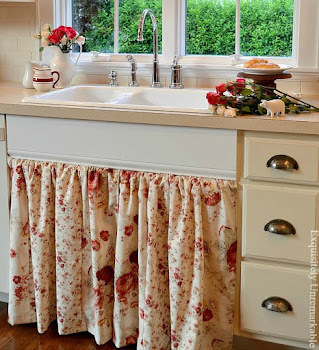 It always has such charm, and I think that's what's so attractive about cottage style, are the charm, the fabrics, and the architectural details. I'm definitely a fan. Come on over, Florence! We'll have tea and I'll give you the tiny tour! I couldn't agree more...We recently sold our cottage, but we're looking for another one! Great post! I often get so confused by all the various home decor styles! I probably grew up cottage style and never knew it as my mother was into the blues and yellows, and there was so much fabric-covered "stuff"! Visiting from Dishing It and Digging It party. I love cottage style too. That chair! Gosh, it's beautiful! Thanks Carolann! That chair is one of my favorites….and super easy to do. I love your house. I would chose cottage style over a big house any day. It is so charming. Thanks so much, Debra! I like a house that hugs, too! Lindas imagens. Uma casa repleta de coisas lindas e com muito conforto. Feliz semana. Cumprimentos. 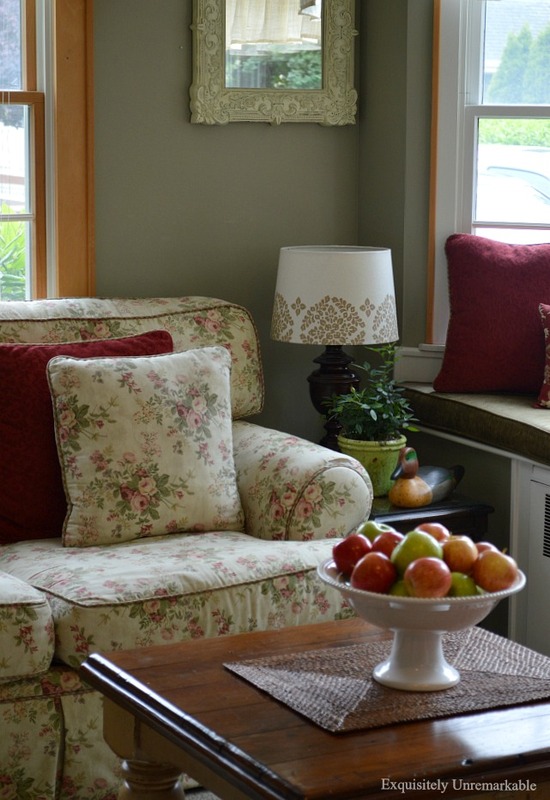 Cottage style is just so super cozy, happy, warm, wonderful and inviting! Your cottage home and décor is gorgeous! 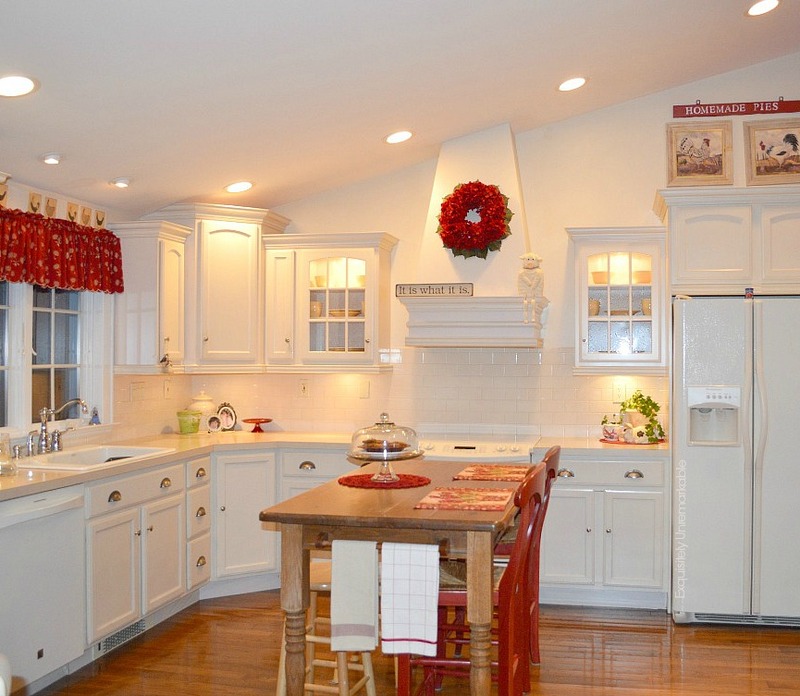 Inviting is such a fabulous word to describe cottage style, Jemma! Thanks so much for your own warm and wonderful words! You know I am a big fan too. We've lived in big homes and I loved them but there's just something about a cottage. I totally agree, Kristi! Nothing like a cottage! Charming and I do love the fabric! Thanks so much! I'm kind of a fabric junkie. To me cottage style, means livability and comfort. Anything that is washable and yet cozy---and color with lots of vintage thrown in. Not the kind of antiques you can't touch, but the usable kind. Your home is all those... and more! Beautiful Kim, I will always love and live with cottage style. Your cottage is gorgeous, cozy, warm and inviting. That never goes out of style!!! Great post! Thanks Celestina Maria...I agree, it's a classic decorating style. Your home is very cute-I love cottage style. You furniture fabric looks like it's right out of Cabbages and Roses. I would love to live in a charming cottage and wow, to be so close to the beach. It was great to see more pics of your pretty home, Kim! When I think of Cottage style I think of cozy and that is how a home should feel. I really love your home. I am a cozy kind of girl, Mary! Thanks! I agree with all five of your reasons! Super post! I totally agree about Christmas in a cottage. It is the perfect style house for decorating and actually my favorite season in this house, especially in the living room. I think it was made for Christmas with that big fireplace and the beams. I love Rachel Ashwell, been a fan for a long time, but I’m not sure I have seen her take on mid century modern. I just made a note to Google that. I would love to see. I will definitely let you know my thoughts! Hi Kim, I love cottage style living and this is the kind of house I grew up in. 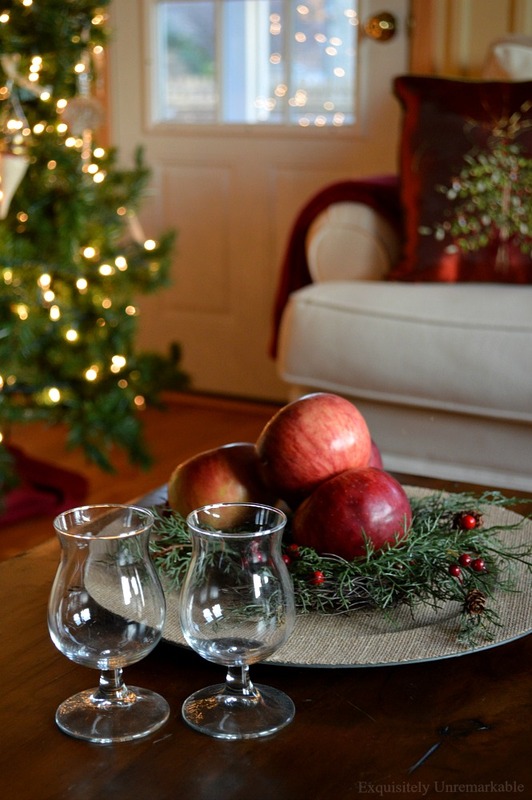 You have decorated your house to look country too and that is just my style of decorating too. 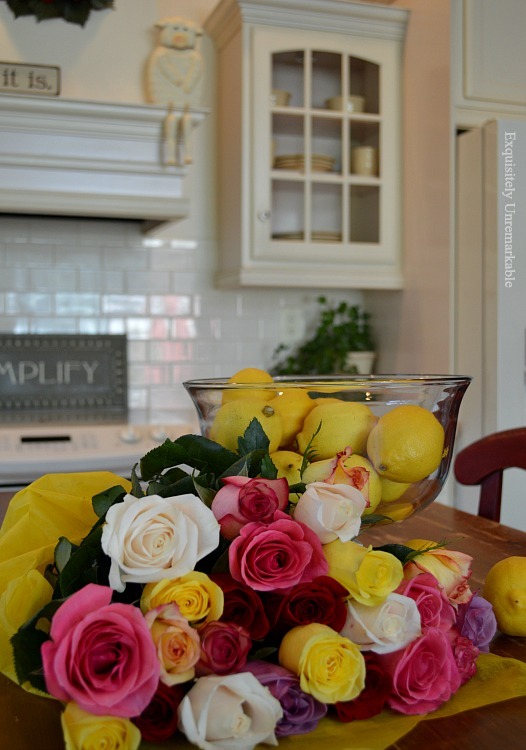 Thanks for sharing your beautiful home and easy tips. Just wish I could sew! LOL. I agree with every word you said! Less is so much more. And likely, people with McMansions actually use about the same number of square feet you do. Why pay for more, when you have the perfect amount of cosy home? Less is so much more and it is indeed cozy! Thanks so much for weighing in. You have such a beautiful home Kim!! Thank you so much for sharing it with us!! I could sit here all day taking a peek at your cozy sweet home! I love your cottage home. I have down sized and am loving it. Now I see things and think, I love that but have no room for more. I'm turning 60 in December and as I look to buy a house for my next few decades next year, I'm having to balance my love of cottage style with realizing I need everything to be on one level - no basement (won't be missed) but also no beloved dormer room studio. So I'm already figuring out how to add fabric and charm to otherwise non-cottagey spaces. I say it can be done, Sharon! I have no attic space, just a few rooms and lots of cottage style. Keep us posted! My #1 favorite style. Always has been, always will be. Nice post, Kim. Hugs. From one cottage lover to another, thank you, Nancy! ❤️Hugs! My favorite style as well. Your home looks so lovely and inviting, Kim. Thanks so much, Amalia! I am a cottage girl. Well, if you were to look at the outside of our home, you would say 1950's ranch, but as you put it so eloquently...the inside can look however a person wants it to! I love "stuph" and "red" and cozy and squishy, so yes, I think I fit into the cottage persona! Our kiddos are buying us gas logs for our antique brick fireplace for Christmas. I can HARDLY wait. Wood has become a problem for us to cut, haul, stack and haul again, so we have been "fireless" for two years. I am so excited I can hardly stand to wait until they all show up to install the firelogs. I have always been in love with your home...these pictures are wonderful and I am just drinking them in like the crazy old lady that I am!! You are going to love the gas logs, J! It makes having a fire so easy. We just turn it on and off with the flick of a switch and there's no mess or smoke or wood to deal with. Best Christmas present ever! And thank you for your kind words. I'm glad you're drinking my pictures in...makes it all worth it!!! You’ve nailed it when it comes to defining cottage style and what makes it so charming. I think part of what makes it so appealing is that you have free reign to mix so many different style and put your own personal stamp on it. 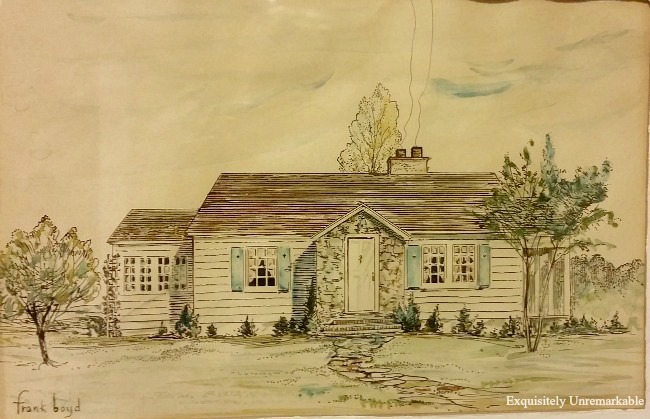 Your cottage looks adorable- I especially love that stone fireplace! Thank you, Melissa! I think you're right, it's that element of free reign that has made me a cottage style addict!! Your home is filled with charm. So warm, so welcoming. 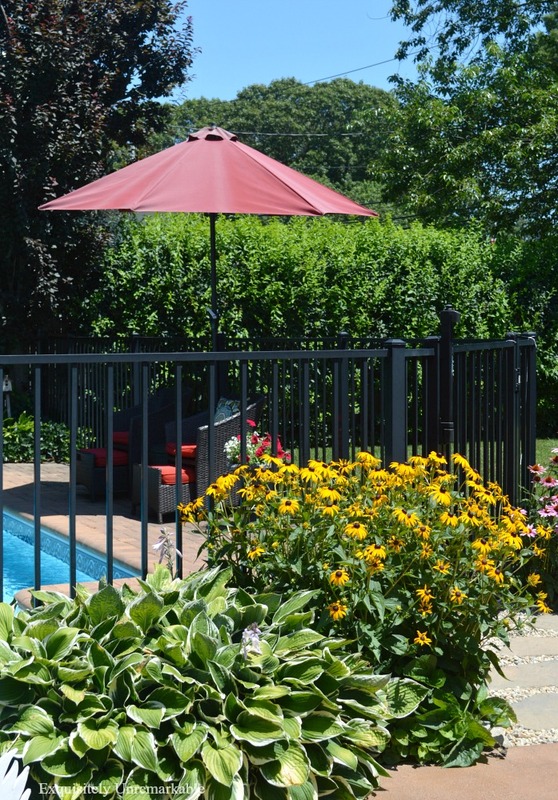 You have the best of both worlds, a cottage and close proximity to the beach. Perfect. I downsized from a 3b/3ba home to a 570' farmhouse cottage in the Appalachian mountains. I enjoy the relaxed vibe of cottage style, and mix in french farmhouse as well as some primitive. I just pick pieces and items that make my heart sing and go from there. Your fireplace is lovely. I so could live happily in your sweet cottage. Oh - and Happy New Year. Tonita, thank you so much for the visit and the very kind words. I have to say I love my tiny cottage by the sea. It’s just big enough for right now, but I could totally do even smaller. I just popped by your site and wow, how beautiful! I didn’t realize that the house was only 570’, that’s amazing. You decorate big, I just assumed it was much larger! Your bedroom is lovely and that prayer bench is the perfect addition. I’m going to have go back and peek around some more. I’m hooked! Happy New Year to you, as well. I can’t believe it’s almost February. How did that happen? ?